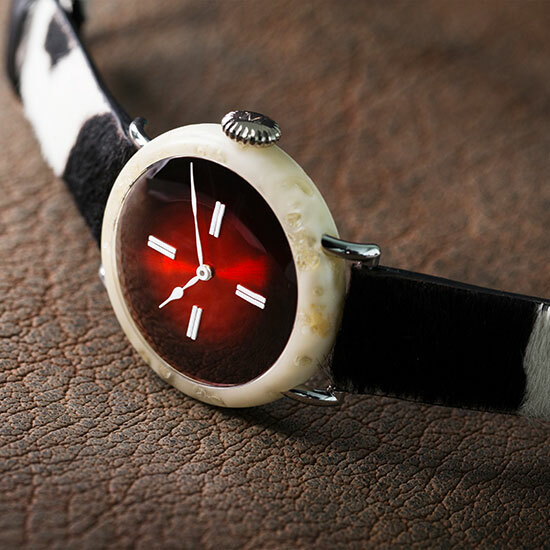 If A Watch Were Made of Cheese, Would You Eat It? © H. Moser & Cie. Introducing the new the Swiss Mad Watch by H. Moser & Cie: a 42mm with HMC 327 caliber inside, a red fumé dial with white lacquered double hands, all produced in house. Note the skin strap made from a Swiss cowhide. Oh, and the case? It’s made of Swiss cheese. Unfortunately for both watch and cheese enthusiasts, there can only be one. The Swiss Mad will be presented during the upcoming Salon International de la Haute Horlogerie and auctioned for a whopping price of 1,081,291 CHF ($1,070,161.31 USD), a nod to Switzerland’s founding date. Proceeds will be used to create a fund in support of independent Swiss watchmaking suppliers. So, in all seriousness: If a watch was made of cheese, would you eat it?